1) The cable management is a moulded frame which is placed between each 110 wiring block and at the top of each column of 110 blocks . 2) It served as a horizontal trough for routing of patch cords and cross-connect wire . It mounts on standard 19" racks or cabinets and provided a clean, beautiful and simple means of organizing from small to large bundles of cables and patch cord . 4) Easy to install, and can save installation expense. 1) used for network communication in telecommunication field, Gigabit Ethernet, together with Patch Panel, Face Plate, Patch Cord, Cable Management, Cat5e/Cat6 Cables, RJ45 Keystone Jack, etc. 3) Easy to install, and save installation expense. 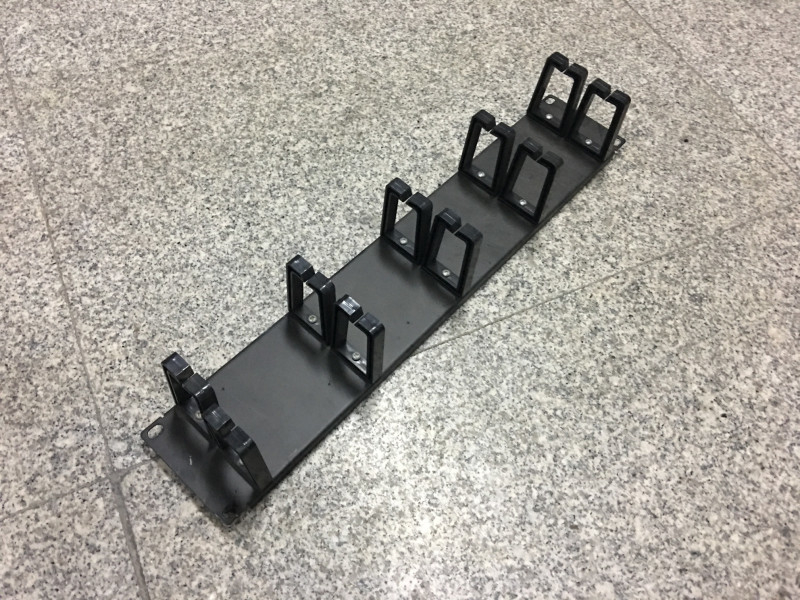 Application: used for network communication in telecommunication field, horizontal cabling system or equipment terminating, together with Cat6/Cat5e keystone jack module, Face Plate, wiring blocks, Cable Management, Cat5e/Cat6 Cables, patch patel, etc. The blanking panel may be used to fill in 1U spare positions in a 19 inch rack. The horizontal cable management can be used with all patch panels,rack and cabinet mount products. It mounts on standard 19" racks or cabinets and provided a clean, beautiful and simple means of organizing from small to large Bundles of cables and patch cord. · Feature: Standard EIA 19" rack and Cabinet mount. · Light weight ,easy to install or removal. · The panel is configured with 5 rings. · Custom-made cable management is acceptable.